Shown above is a line of any length. 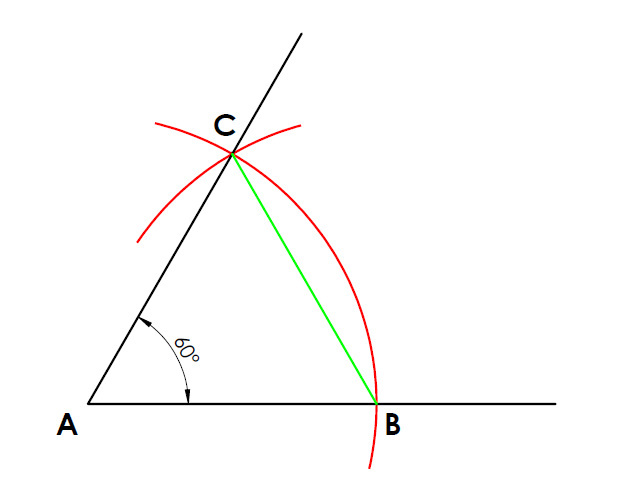 You are aiming to create a new line that will make an angle of 90° to this line. Line segment AB, AC and CB are congruent as they are all drawn with the same compass width. Triangle ABC is an equilateral triangle as it has three sides of equal length. Angle CAB has a measure of 60 degrees because all three interior angle of an equal triangle have a measure of 60 degrees.